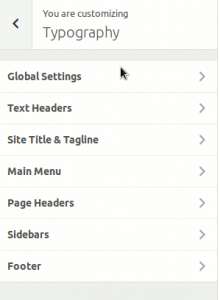 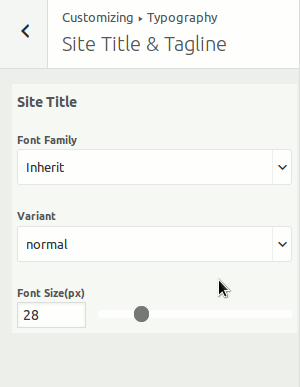 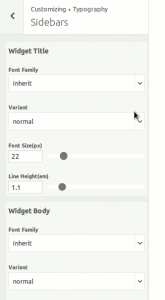 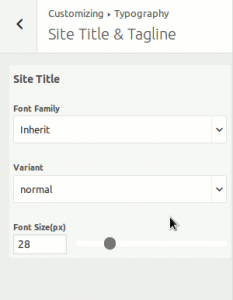 The typography panel in Community Builder allows you control the typography of your site. It is meticulously designed to allow you control each section of your site properly. 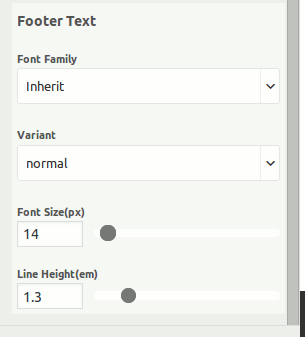 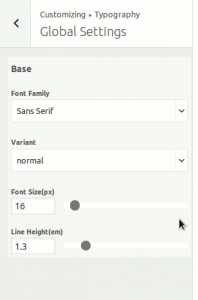 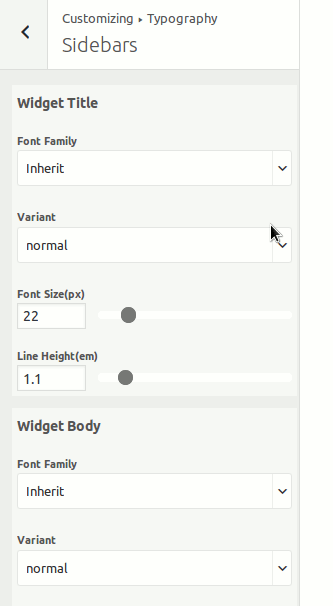 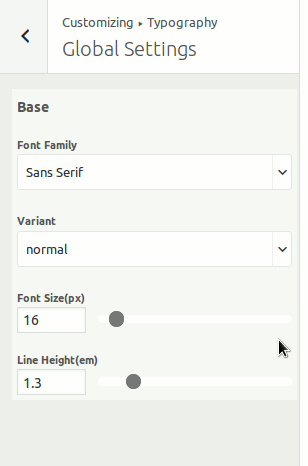 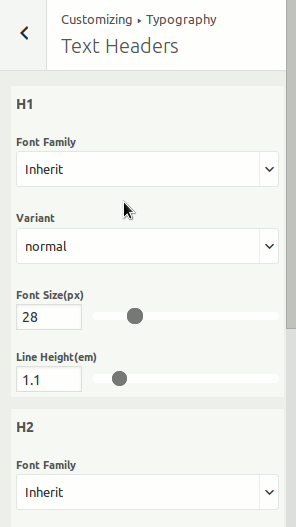 In each section, you can control the font( around 500+ google fonts + native ), font variant, line height and font-size. 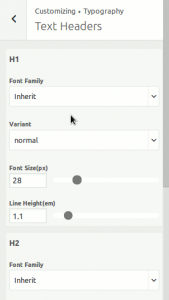 From h1, to h6 heading font settings.